The Canyonz Bouldering Slide is one of the most exciting climbing products on the market. It encourages imagination, exploration, and adventure in a safe, natural, and unique play environment. The Canyonz is the perfect climbing/bouldering wall with 120 handholds and 31 linear feet of area to climb. 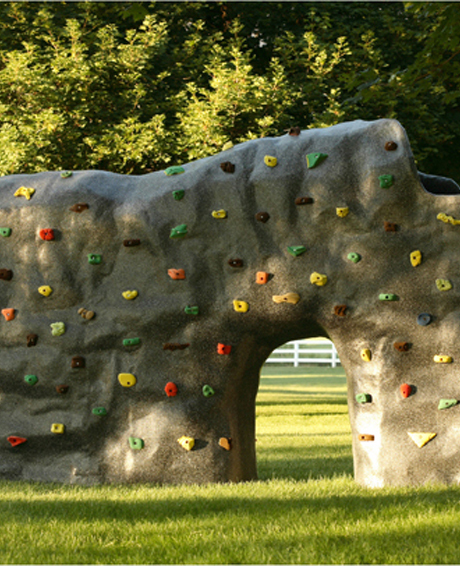 In addition, the Canyonz is the only climbing boulder to offer a 14′ tunnel cave slide and 4′ activity arch. These elements encourage children to explore and play in a natural and imaginative setting. It’s not just a climbing wall it’s an adventure! The Canyonz is backed by a three-year warranty on the structure and limited lifetime warranty on the climbing holds. Please consult your local provider of fall material for depth guidelines.